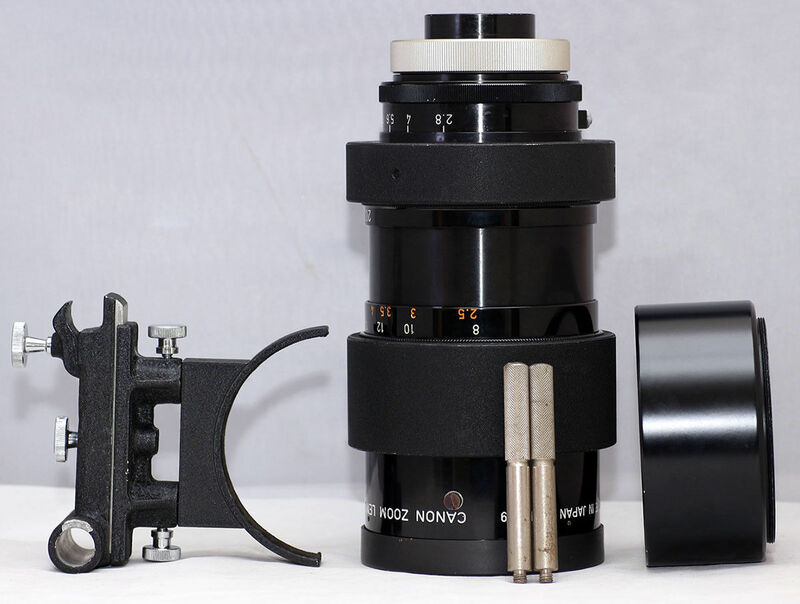 An eBay listing is offering what the seller calls the ‘rarest prototype lens on Earth,’ a Canon 45-200mm F2.8 (C35) prototype lens. According to the listing, the lens was produced in Japan in 1959 and only “four or five” units were given to professionals for testing. Canon ultimately decided not to launch the lens commercially, possibly due to its heavy weight (approx. 3kg / 6.6lbs) and expensive price. The seller goes on to claim that there are only two or ‘maybe three’ people in possession of these lenses globally. This particular unit, which is offered via auction with a starting price of $29,999 USD, is described as being in ‘Excellent+++’ condition for its age. The campaign references a 1959 Canon press release for the lens, but doesn’t provide a copy of it. Canon’s Lens Museum website doesn’t include any listing for this prototype, leaving only the seller’s claims. The seller has a 100% rating on more than 380 sales, but that doesn’t necessarily mean this listing is accurate. The seller told DPReview the lens was acquired from ‘a very old studio’ that was torn down and sold off ‘a lot of stuff in auction.’ According to the seller, ‘some old movies were shot with the lens.’ DPReview is waiting to hear back with confirmation of what movies they were. The auction includes the original metal lens storage box, front cap, filter, hood, focus knob and lens sliding attachment.